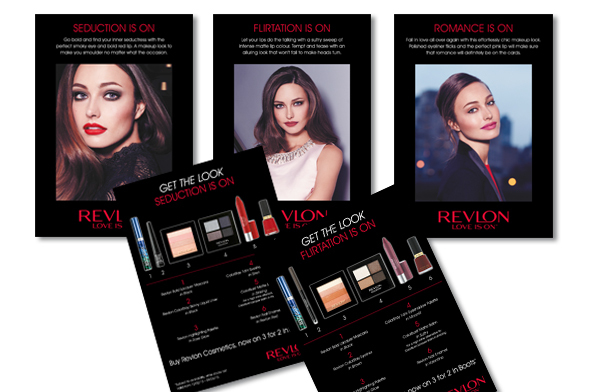 Revlon recently took over Westfield with a fantastic pop-up shop. Splashdown produced a series of “Look” cards to support the shop. Each card had a different look on the front, with how to “get the look” on the reverse. The event proved so popular we had to print more cards!